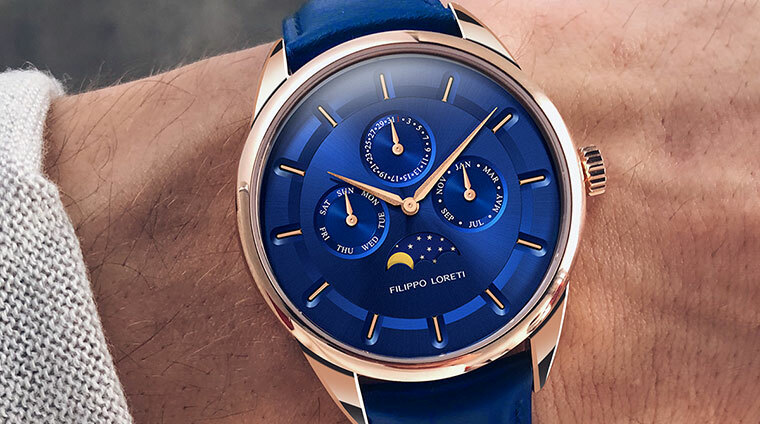 For this Filippo Loreti review, we have something very special in mind – a look at the Venice series of watches made by Filippo Loreti. The very design of these watches was deeply inspired by the beauty of Italy, and its long tradition regarding timekeeping. All of the Filippo Loreti in the collection are different to a degree, but what they have in common is an outstanding quality paralleled only by the beauty of each individual model. 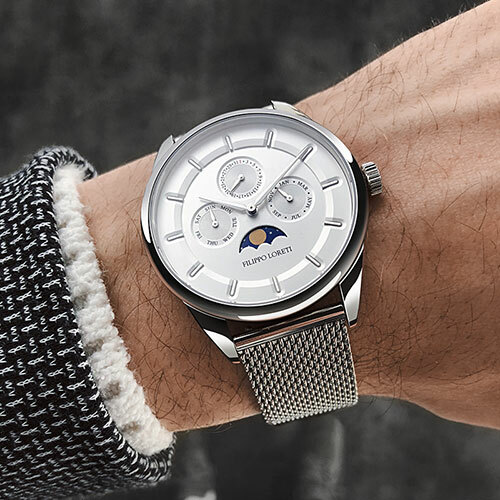 The specs for these watches are mostly the same, at least when it comes to their weight, dimensions, the rating of water resistance, and alike. 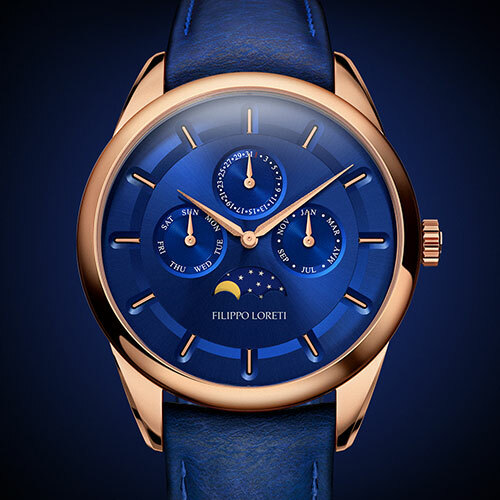 Filippo Loreti differences are in the colourways and types of leather used for the straps. The color of each model’s case is different. For example, Venice Moonphase Rose Gold’s case is rose gold plated. It is a beautiful fully polished stainless steel with 42mm in diameter, and a perfect weight of 108g. That way, it fits the wrist perfectly, and it provides a sense of quality and elegance, just like the other models. 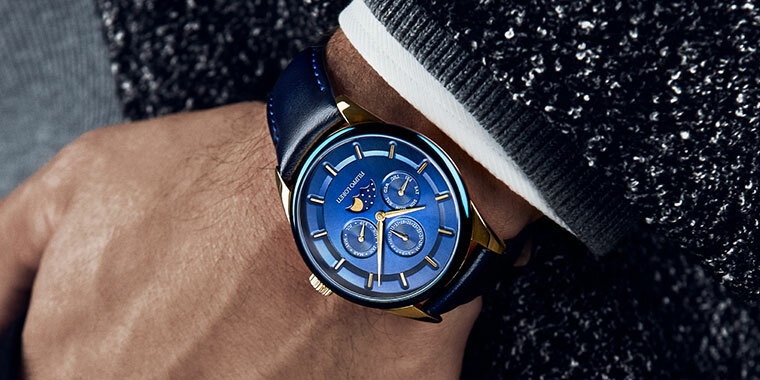 The top of the case for each model, including the Venice Moonphase Rose Gold, has a sapphire glass, or alternatively a double-domed sapphire crystal. It is strong and thick, but might be lacking when it comes to the anti-reflective coating, which may be the only issue with this watch. On the side of it, there is a button with a push-pull crown and a blue jewel, which allows for easy and comfortable setting or winding. The back of the case has four screws which are keeping it in place, as well as a centrally-placed exhibition window. Next, we have the dial, which has a different color depending on the model. Numerous subdials and the day/month indicators are helping to keep the upper area busy, while the bottom part is dominated by night/day indicator, with a date window being right next to it. With all of this put together, any watch from the Venice series provides an extremely effective timekeeper. Thanks to the fact that all of the dials and subdials are on different levels, the watches also provide a certain sense of depth. Combined with the very interesting and unique design of the hour and minute hands, these models are simply lovely to behold. Next, we have the strap. The strap for each model is made of Italian leather, with some variations depending on the model in question. The important thing is that the leather is extremely well fabricated, solid, and flexible. Another great thing about it is that it comes with a quick release pin, which is always a good thing to see on a watch. The top bar of the strap also has engraved the company’s logo, which is a nice touch. Finally, we should also mention the movement. This series uses the Miyota 9100m which has a high beat of 28.8k bph. It has a power reserve that lasts for 40 hours, and consists of 26 jewels. 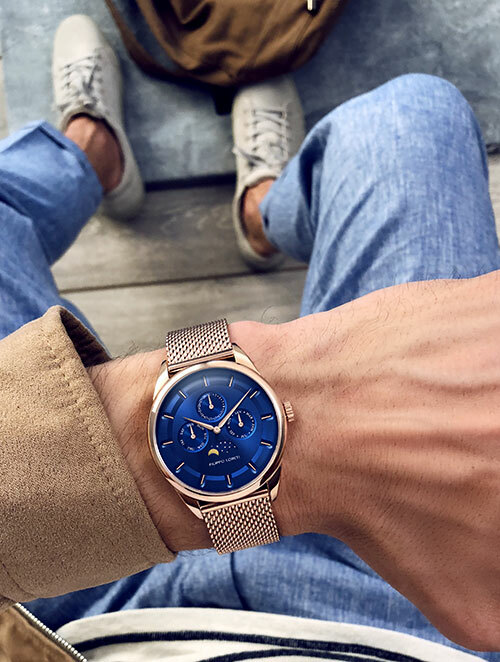 In all honesty, any watch in this series is excellent for the cost, and it does not only tell you the time, but also the elegance and good taste of its owner. Filippo Loreti is truly giving a great deal for watches like these, which are well worth the money. 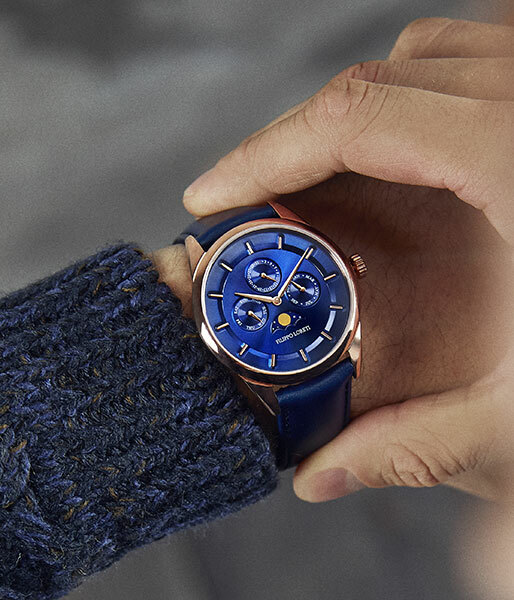 The colors of each model are perfectly combined, the case is strong and shiny, and the strap is of a high-quality leather. There is nothing that you can not love about Filippo Loreti Venice series.